Clay Bluffs-Cedar Gorge Nature Preserve is the newest addition to the treasures of Oz. It was acquired by the Ozaukee Washington Land Trust after significant time and negotiations with Ozaukee County, the larger property developer, the bank and the DNR. 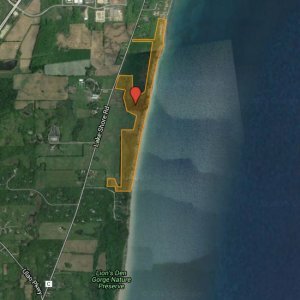 OWLT will place a conservation easement on the 101 acre preserve and eventually turn it over to Ozaukee County Planning and Parks for use as a county park, much as was done in creating Lion’s Den Gorge Nature Preserve, which lies just to the south. The property includes a primary environmental corridor,( a critical species habitat site and a natural area.) 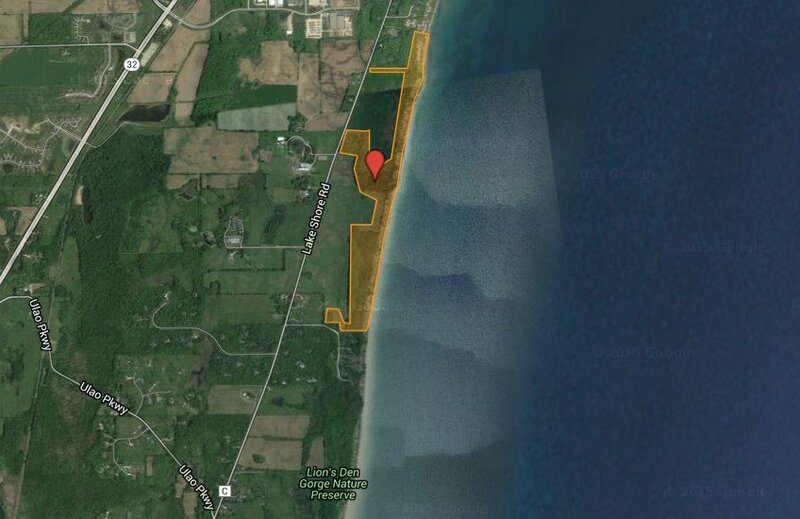 It has been identified for protection by Ozaukee County in the adopted and certified Park and Open Space Plan for Ozaukee County: 2035 as part of a priority project area known as the Lion’s Den Gorge Project Area. In addition, it has been identified for protection as part of the Multi‐jurisdictional Comprehensive Plan for Ozaukee County: 2035. 1.25 miles of Lake Michigan shoreline, 93 acres of primary environmental corridor, 5 acres of wetlands, 41 acres of woodland, “high” groundwater recharge areas, and importantly an identified locally significant, Natural Area‐3, critical species habitat site known as the Port Washington Clay Banks (35 acres) and a locally significant, NA‐3, natural area known as Cedar Heights Gorge (9 acres).